There are a nearly endless number of options available to you when choosing Amish handmade furniture. 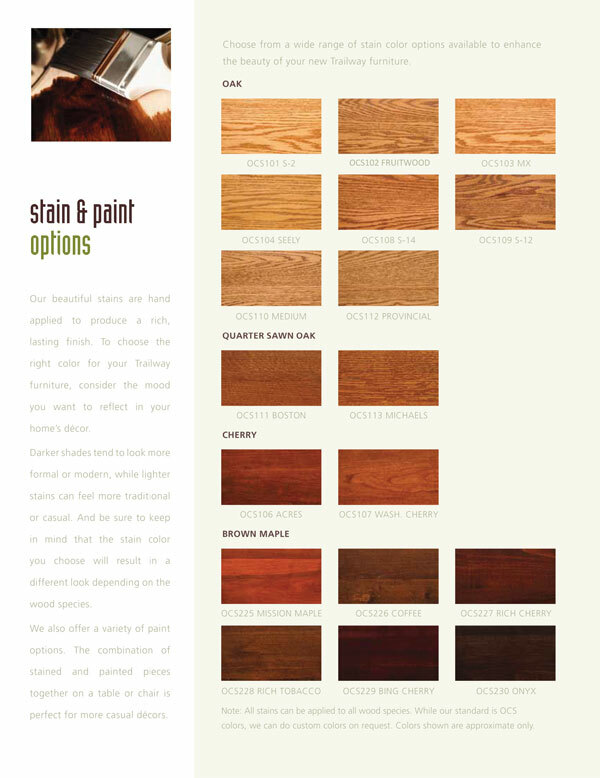 Pick from the wood grain, stain color, and more. 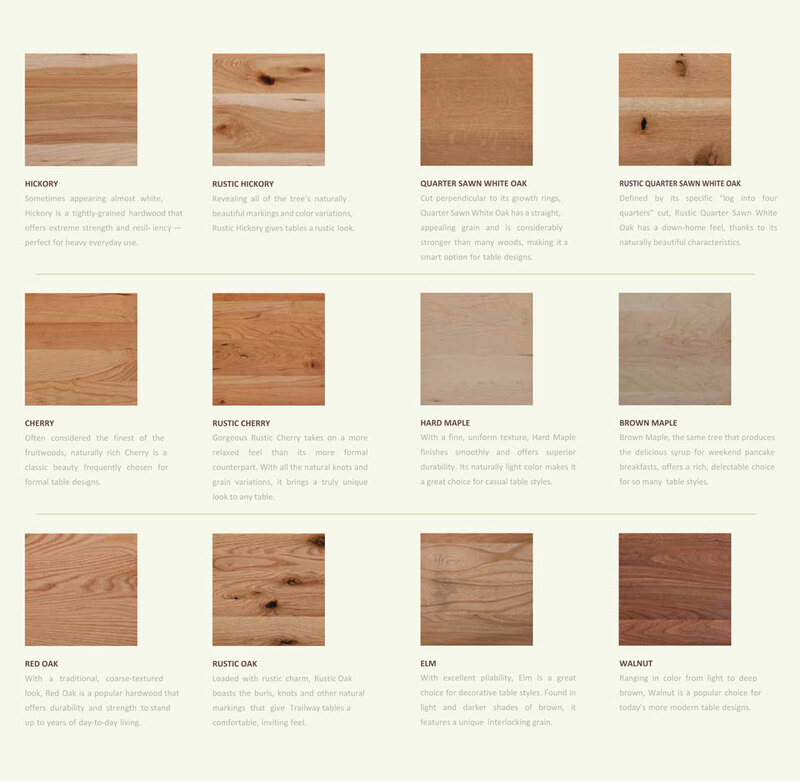 Here are some of our most commonly available options.